How to Remodel Your Kitchen and Increase Your Home’s Value – Mees Distributors, Inc. The kitchen is where you have your morning coffee, prep your meals, and even do homework with the kids. It’s no surprise that every current and future homeowner wants a kitchen that’s up-to-date and well-decorated. You can easily add more value to your home when remodeling your kitchen with the following tips in mind. The closed-off tiny kitchens of the past have given way to expansive rooms that merge with living and dining areas so family members can interact freely with their cook. If your budget doesn’t allow for restructuring the kitchen with an open floor plan, knock out as many walls as you can to open up space. This is easy enough to do with non-load-bearing walls, but even those that support the floor above can be removed if a replacement beam acts as the support. To increase the sense of airiness, consider replacing the solid doors of upper cabinets with glass fronts or using open shelving. Injecting detail and color into your kitchen can be exciting. But adding too much of it can prove a visual distraction that quickly oppresses your sight. Consider too that every nook and cranny of intricate design will gather oil and dirt, making them dingy and hard to clean. Bold colors can also become quickly outdated and leave your kitchen feeling tired. Stick with neutral colors and subtle patterns for countertops, floors, cabinets, appliances and backsplashes. The neutral palette can then frame the color and intricate design that put into the windows coverings, kitchen towels, and accessories like jars or art. These smaller items are easy to change when you get tired of the shades and details. The neutral palette remains constant. As a natural material, granite proves to be strong and durable because of its volcanic origins. It’s available in a variety of colors and patterns, resists scratches, and can endure direct contact with heat, such as from hot pans. Because it comes in different sizes, shapes, and thicknesses, it is easily customizable to your application. It is also priced at different ranges so you can go for more expensive varieties if you have the money or stick with less expensive grades if you’re on a budget. Either choice will look good. Think about adding kitchen features that would make a cook’s life easier. These could consist of additional drawers, soft-close cabinets or a pull-out pantry. Good lighting is always welcome because it illuminates what you’re doing and shines a light on your material choices. Consider installing under-cabinet fixtures so they can shine more brightly on what you have on the counters, such as food or utensils. 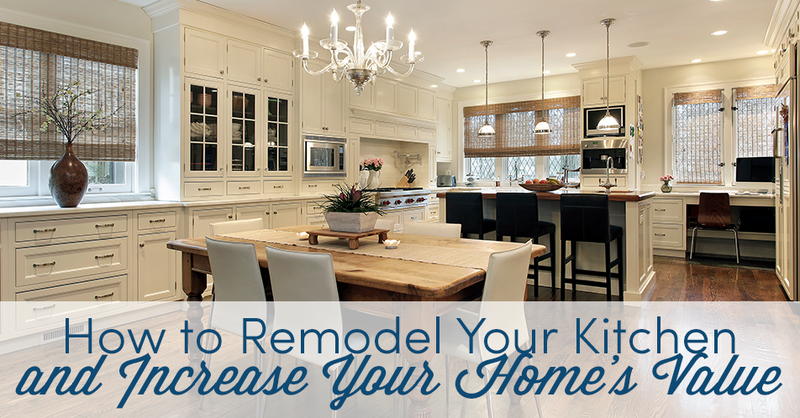 Redoing your kitchen can be one of the best investments you make to add value to your home. At Mees Distributors, Inc., we can help you choose which materials are best for your remodel. Stop by our showroom to browse our selection today!